A special way for you to carry a loved one with you on your special day. This 'Bridal Charm' could be yours and your partner's fingerprint together, your child's print or perhaps the handwriting of a loved one whom is no longer with you...this way they can 'hold your hand' as you walk down the aisle. This special keepsake, in a size and shape of your choosing, can be with you all day soaking up all of those wonderful wedding feelings and memories, ready to be converted into a necklace, bracelet or keyring for you to wear ever after. You can choose fingerprints, handprints, handwriting or stamped initials of you both - lots of ways to make this truly unique for you! See the Fingerprint & Miniature Print ranges for inspiration. This sweet charm duo is made from one solid heart with either one or two fingerprints cast into it, before they are separated. I see this as such a beautiful way to signify a change in a relationship between two people as a new unison occurs - mother of the bride and bride, sisters, best friends, maid of honour or the wee heart is perfect for a child to wear as her mummy wears the larger heart on their special day. See 'A Piece of my Heart' here. Cast a secret message into his cufflinks or give him a 'kiss'; what a truly unique gift for your Groom to open on the morning of one of the best days of his life - marrying you! See the range here. What are your special coordinates? The proposal, the venue or perhaps your honeymoon destination? 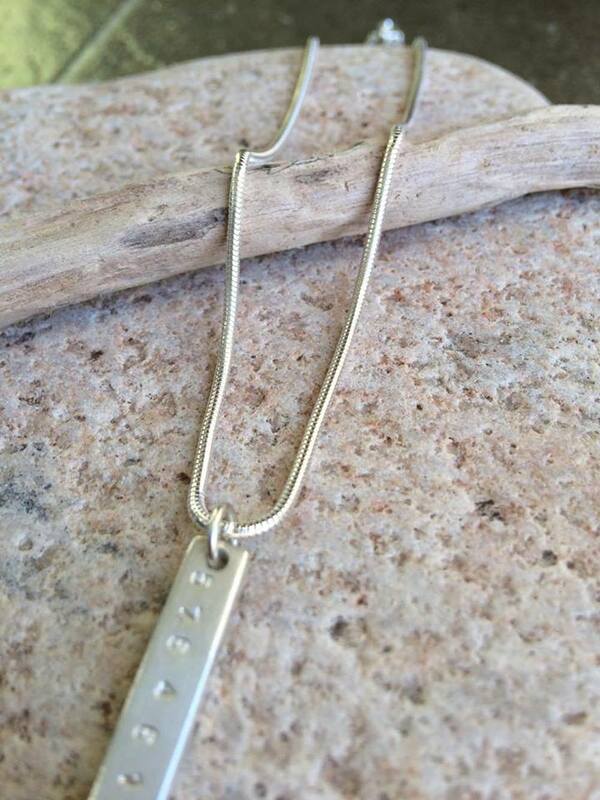 Well lets look up those all important geographical coordinates and have them made into your very own solid silver Coordinates Bar. 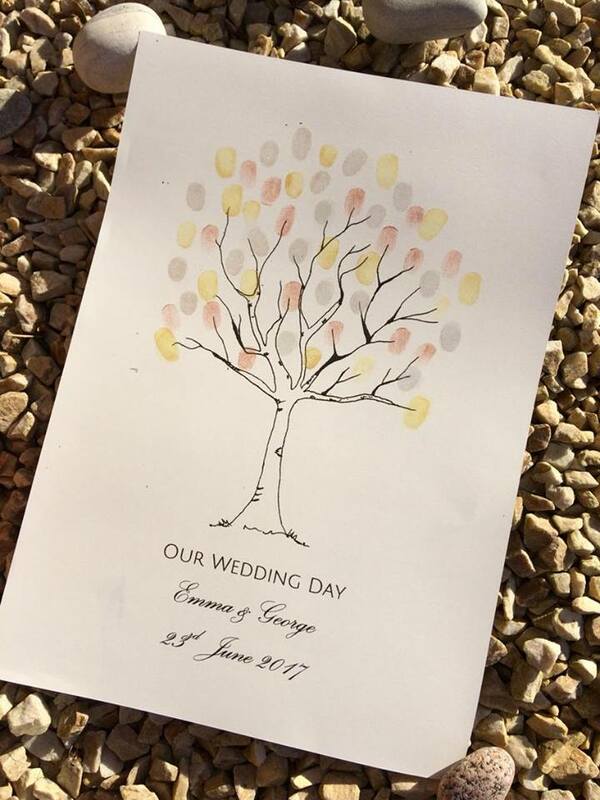 Choose from either an A4 or A3 Wedding Guest Fingerprint Tree for your guests to adorn on your big day. Or perhaps you'd like to choose your Bunny artwork instead? The LOVE artwork is an elegant way to display your unity. Allow me to change the personalisation and colours to suit your style and theme. 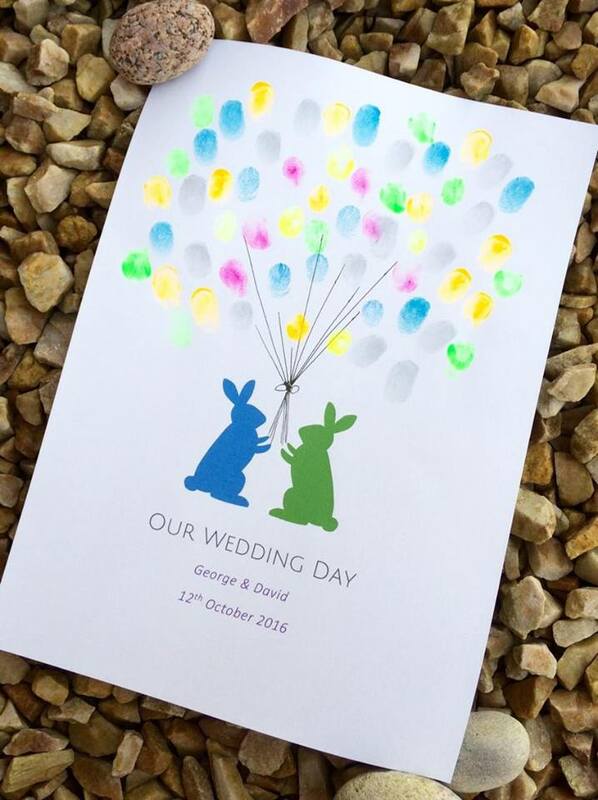 Ink stamps in your theme colours are really easy to use with minimal mess, just a quick swipe with a wet wipe will clean the fingertip afterwards and most stamps are non-toxic so perfect for children and guests with sensitive skin. See the range here. A quirky way to let your loved ones know to keep a certain date in the diary free or choose to insert a fingerprint notelet in with your invitations. You cannot get more personal and unique than your own fingerprint on your invites. See the range here. If you are looking for a unique gift ideas to give to you wedding party, ushers, future In Laws or as wedding favours for your guests then here is a chunky box frame waiting for their unique fingerprints to bring it to life. See the frame details here.